An acting attorney general could immediately take over supervision of the Mueller investigation and abandon the memorandum of independence that the deputy attorney general gave the special counsel last year. President Donald Trump, who brags about creating jobs, has put up his own Help Wanted poster. The opening is for a loyalist to head the U.S. Justice Department and undermine investigations that could threaten him and his family. It might even work. Under prodding from congressional Republicans, Trump apparently agreed to hold off firing Attorney General Jeff Sessions until after the November election to avoid political fallout. He constantly lashes out at Sessions over the threat he feels from the investigations led by special counsel Robert Mueller and the Manhattan U.S. attorney into the possibility of collusion between Trump and Russian interference with the 2016 presidential campaign, and into payoffs and the president’s business deals. There’s one reason Sessions, a former Alabama senator, is on the chopping block: Trump’s fury that he recused himself from the Russia probe because of his own undisclosed meetings with a Russian official during the campaign. As a result, it’s being directed by Deputy Attorney General Rod Rosenstein. Trump would presumably argue that he has the authority to replace Sessions under the 1998 Federal Vacancies Reform Act, which specifies how a president can temporarily fill a cabinet post. It allows an official to serve in an acting capacity for 210 days, or more if no permanent replacement is confirmed, when a cabinet post is left vacant by resignation or death. The Trump White House, armed with a Justice Department opinion, argues that it also applies when a cabinet officer is fired, though some legal scholars question that interpretation. 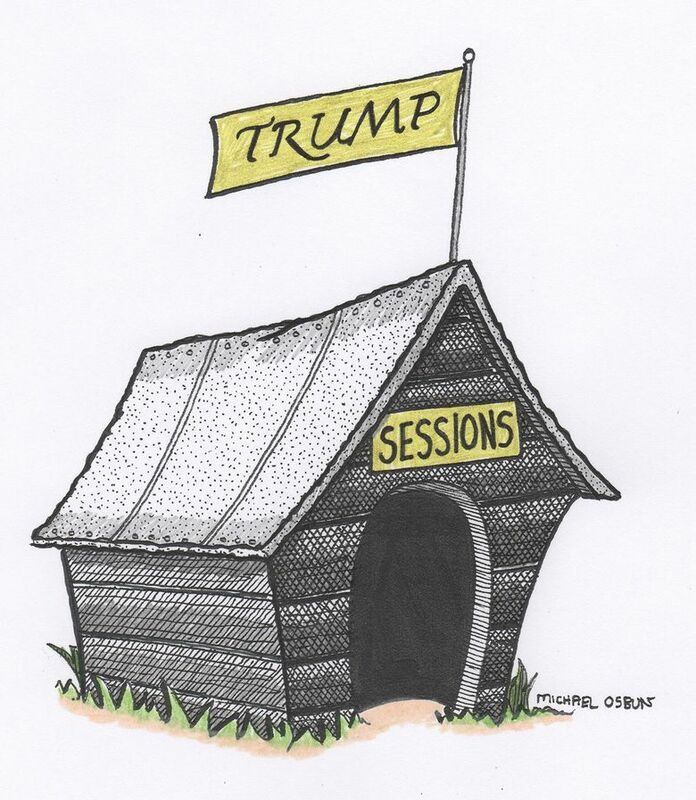 If he fires Sessions, Trump then could appoint anyone who has been confirmed by the Senate or a Justice Department official of at least a GS-15 rank, a senior department official. An acting attorney general could immediately take over supervision of the Mueller investigation and abandon the memorandum of independence that the deputy attorney general gave the special counsel last year. An acting attorney general also could impede the investigations of the U.S. Attorney for the Southern District of New York and the Federal Bureau of Investigation. The White House could be apprised of whatever private or confidential information they have accumulated. Already, Republican senators who once declared that Mueller’s independence was sacrosanct are giving Trump a green light to sack Sessions. Iowa’s Charles Grassley and South Carolina’s Lindsey Graham — the chair and probable next chair of the Senate Judiciary Committee — have said that it’s OK for the president to pick his own person. Graham even claimed that disagreements over immigration policies would be a legitimate basis for firing Sessions. That’s preposterous; Trump’s complaints against Sessions, an anti-immigration hard-liner who was the first senator to endorse him, have focused on his recusal from what he calls the Mueller “witch hunt.” Trump’s disdain for the rule of law was on display anew last weekend when he blasted the Justice Department for indicting two Republican congressman, complaining that the actions could hurt the party in the midterm election. Only two factors have any chance to deter senate Republicans from going along with Trump if he taps a sycophant to be attorney general. One is public opinion, if it rises to a fever pitch. The other is the knowledge that if Democrats win a majority of the House of Representatives, by next Jan. 2 they would have the power of subpoena and ability to call witnesses to investigate what had occurred.